AFFINITY DOG TRAINING Welcomes You! 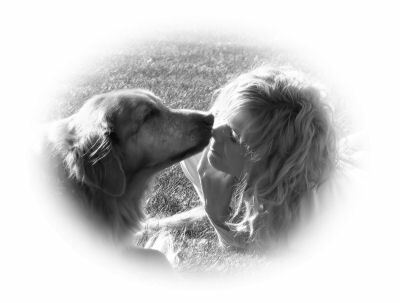 "client centered counseling offering humane solutions to your dog training and behavior needs"
Affinity Dog Training, inc is committed to enriching the lives of dogs and their owners using reward based training methods. Our passion is to create a relationship between a dog and it's owner that is built on mutual trust, respect and understanding. Clear communication is essential in preserving the integrity of this relationship. Training techniques are based on sound scientific principles and place both the dog and owner in a position of success. Science aside, we believe training and learning should be fun and rewarding for both ends of the leash! Affinity Dog Training, inc will show you the way. Affinity Dog Training, inc has been empowering the relationships between dogs and their owners in the Fox River Valley area of Illinois for over 15 years. Our clients come from many of the areas suburbs including Elgin, South Elgin, Aurora, North Aurora, St. Charles, Geneva, Batavia, Elburn and Maple Park. We pride ourselves on personal attention and offer practical solutions to training and behavior issues in a family friendly, pet friendly environment. We, at Affinity Dog Training inc, understand how overwhelming a new addition can be. Regardless of whether your newest family member is a puppy or an adult dog, whether you are an experienced or first time puppy or dog owner, or whether you choose a group class or an in-home consult, we have the training and experience to help you lay a foundation for a relationship that you will enjoy for many years to come. Affinity Dog Training, inc is committed to giving you, the owner, the tools you will need to train your pet and create a happy, stress free life with your new companion. Affinity Dog Training offers small group dog training classes, puppy kindergarten classes, in-home behavior consultations and behavior modification, in-home obedience training, pre-sports puppy/dog training and Mini Workshops. We invite you to "sniff" around our website and learn more about us!